Today I decided to take a sheet of 100% cotton paper and curve it against the corner of the floor and the wall between the window sill in the bedroom. Affixed to the window sill was an inexpensive clamp light with a daylight compact fluorescent bulb. Since my Canon SD900 can now record in both RAW and JPG thanks to the CHDK firmware hack I installed I decided to compare both to the finalized product. before saving it as a JPG file, the JPG file appears a little better, although at full resolution it would contain less contrast and an overall less quality about it. 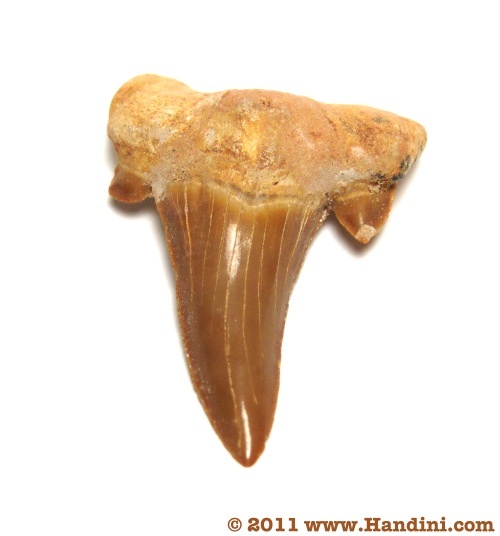 If one were to examine the subject, it is apparent that the colors of the shark tooth in the RAW file look more natural, albeit darker, then the JPG file. Note how the watermark in the cotton paper appears to the left of the tooth. It probably wasn't the best thing to use for a background. White Balancing of the RAW file reveals a much nicer image then the JPG file, although the corners are still too dark. The colors on the tooth look more natural and richer in the RAW image then the JPG one. As one can see, having more information in the image to work with, aka using a RAW file, is beneficial to consumer point and shoot cameras. 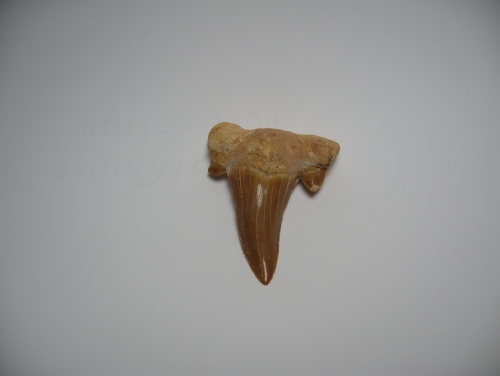 I hope to rephotograph the shark tooth once I get a couple of more clip lights so that I can eliminate the shadows seen between the tooth and the underlying paper.